As a common member of the microbial communities found in soils, with a wide array of hydrolytic and oxidative enzymes involved in the breakdown of plant lignocellulose, Aspergillus species are important sources of enzymes and play a significant role in the global carbon cycle. The discovery of regulatory domains in the non-coding regions of important carbon flux genes will help to identify and characterize the "circuits" involved in carbon cycling. 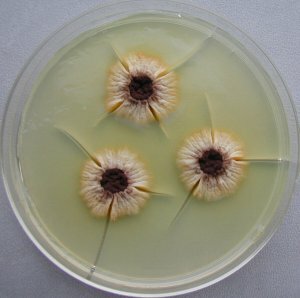 Furthermore, Aspergillus species are important models for the study of eukaryotic protein secretion, the effects of various environmental factors on suppressing or triggering the export of diverse biomass degrading enzymes, molecular mechanisms critical to fermentation process development, and mechanisms involved in the control of fungal morphology. 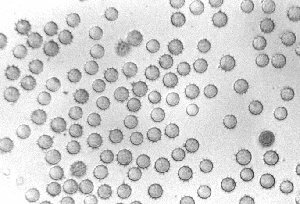 Aspergillus aculeatus is a ubiquitous species that is commonly isolated from soil and rotting fruit. Like other black-spored Aspergillus species, morphological criteria like color, shape, size, and ornamentation of conidia have been used to classify strains. However, the black aspergilli vary significantly in their morphological and physiological characteristics, and unambiguous identification of an isolate requires molecular and biochemical identification techniques. Owing to its ability to rapidly degrade plant cell walls, A. aculeatus isolates have been used to produce a number of important industrial enzymes (cellulases, hemicellulases, proteases) that are used commercially in the food and feed industries. The biochemical and catalytic properties of several extracellular glycosyl hydrolases from A. aculeatus have been studied in detail. In addition, several A. aculeatus polysaccharide degrading enzymes have studied at the structural level by X-ray crystallography.